Clare Easterlin, SHRM-CP is Balentine’s Director of Human Capital. In this role, she is responsible for hiring, new employee onboarding, and other human resource and training needs. 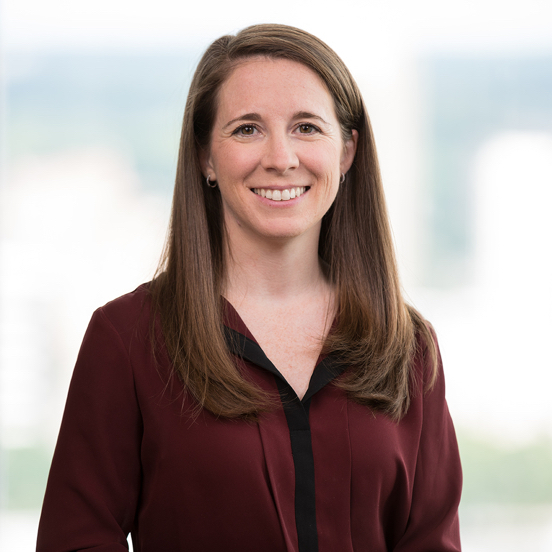 In addition to focusing on several strategic firm-wide initiatives, Clare works with associates on the Investment Strategy and Client Service teams to streamline processes and create redundancies across the firm. Clare began her career at Balentine as a reporting associate. An avid animal lover, Clare volunteers with the Humane Society. She is a graduate of The University of the South and received her MBA from Kennesaw State University. My father, grandfather, and great-grandfather were all in the finance industry, and I have to keep the family tradition alive for my generation. Balentine is more willing to buck the norm and avoid the “that’s how things are done” mentality, particularly if those norms don’t help our clients meet their goals. I like coming to work every day knowing there’s a 100% chance that I’m going to learn something new. If you weren’t in this business, what would you be doing? One career assessment I completed in college told me my number one occupational match was fish farming. If you were stranded on a deserted island, what single creature comfort would you desire most? I think sunscreen would be pretty key to my survival.